What’s not to like about an evening dedicated to discovering the Art of Scent? That’s why we’ll be bustling along to Harvey Nick’s Edinburgh on the 7th October for the Creed and Caorunn Gin Sensory Dinner. 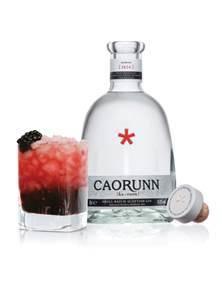 It’s a perfect match – fragrance experts from niche perfume house Creed and expert mixologists from boutique gin Caorunn. Established in 1760, Creed remains one of the most celebrated fragrance houses of all time, creating iconic fragrances for many of history’s most notable figures. This exclusive event will marry the notes from five of Creeds most famous scents with the five locally foraged gin botanicals expertly infused by Caorunn to create dishes and drinks that play to all five senses.